Making gingerbread houses, throwing a party, surprising neighbors with homemade goodies…there are lots of enduring holiday traditions that bring family and friends close during this special time of year. 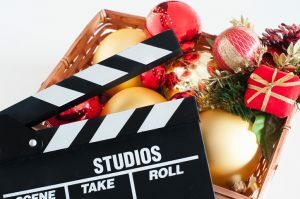 For many people, watching classic holiday movies is an annual tradition that gets them into the spirit of the season. New holiday films are released every year, but only a select few have that lasting quality that makes them truly timeless. We asked our Omni team about their favorite holiday movies and here is a compiled list of what they think are the best of the best. So grab some popcorn, make a mug of hot cocoa, and take a break from the holiday hustle by watching some of these great classics. Kevin McCallister (Macaulay Culkin) is accidentally left behind at home when his family flies to Paris for their Christmas vacation. With his parents unable to book an immediate return flight, Kevin spends two days in his house alone fighting off a pair of bumbling burglars. Kris Kringle (Edmund Gwenn) is hired as the Macy’s store Santa and quickly becomes the most popular Santa around. When he starts claiming he is the real Santa Claus, a psychologist diagnoses him as mentally insane. To prevent Kris from being committed to an institution, a lawyer takes his case and needs to prove that Kris Kringle really is Santa. Clark Griswold (Chevy Chase) is a well-meaning man who attempts to create the perfect Christmas at home with his extended family. One disaster follows another but the promise of a big holiday bonus check gives them hope. This hilarious film was the third installment in the National Lampoon’s Vacation film series. Buddy (Will Ferrell) is a human raised by elves in the North Pole. As an adult, he travels to New York City to meet his biological father, a cutthroat guy on Santa’s “naughty list.” Buddy goes through a series of “fish out of water” misadventures on his heartwarming quest to connect with his dad and spread holiday cheer. After a suicidal George Bailey wishes he had never been born, his guardian angel Clarence appears to show George how life would have been different if he had never existed. This timeless classic directed by Frank Capra and starring James Stewart was nominated for six Academy Awards. Halloweentown’s pumpkin king, Jack Skellington, attempts to take over Christmastown in this stop-motion animated movie produced by Tim Burton. The Whos in Whoville love celebrating Christmas but the bitter and reclusive Grinch wants to take away their holiday joy. Jim Carrey stars as the grouchy green Grinch in this live action movie based on the beloved story by Dr. Seuss. On Christmas Eve in the 1950s, a young boy boards the Polar Express train which takes him on a magical journey to the North Pole. This animated feature stars Tom Hanks and is based on the 1985 children’s book. With stars like Bing Crosby and Fred Astaire, and songs like “White Christmas” by Irving Berlin, how could Holiday Inn be considered anything less than a classic? This film about a New York nightclub act, love, and a Connecticut country hotel, is a sweet and sentimental romantic musical comedy.